At a campaign event this week, Virginia gubernatorial candidate Terry McAuliffe pledged his unwavering — and disturbing — support for abortion providers and facilities in the state of Virginia if given the governor’s seat. 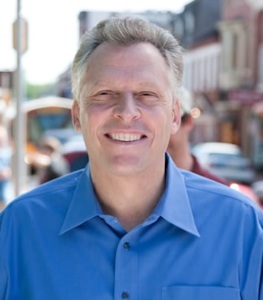 It is unclear who or what, besides the coffers of abortionists, this vow will benefit, since McAuliffe’s support encompasses substandard abortion facilities, practices, and doctors in the state of Virginia. These substandard facilities put women at risk, and there have already been more than eighty documented violations inside of these Virginia abortion mills, including beds covered with blood, an abortionist who operates on women without washing his hands first, and one clinic that has seventeen pages of recorded deficiencies. …Fairfax is closed, or closing, so there will be 18 left. Only one of those 18 actually meet the, the requirements so they’ll all close if I don’t do that. But I will issue what’s called a guidance opinion by mid-March which will say that these regulations, I have, the General Assembly wasn’t definitive with the Board of Health as to the rules, I can give a guidance opinion to the Board of Health to grandfather in those remaining clinics to keep them open. That’s why this election is so important, and I will do that. To recap: the regulations violations which pose severe risk to women’s health in Virginia do not matter to Terry McAuliffe. What matters is keeping abortionists and abortion facilities in business regardless of the substandard and unhealthy medical practices they facilitate. Under the potential governorship of Terry McAuliffe, these practices will go unchecked. It is disturbing to see a politician so dedicated to the institution of abortion that he would fight to keep substandard facilities open. Virginia voters deserve to know that Terry McAuliffe would use the Governor’s office to support abortion businesses, rather than to protect Virginia women and families.